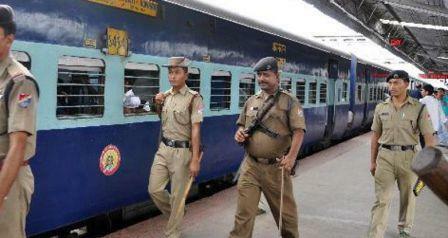 The RPF (Railways protection force) exam is conducted by the Indian Railways. This year the vacancy is for both males and females. To qualify the exam, a candidate has to pass 2 stages > the written and physical test. After that the candidate has to go through the document verification. Q. Which Airport become first airport in the world which fully becomes operational on solar power ? Q. Virus that infect bacteria are ? Q. In which of the following process the 'Radioactive uranium dating' method for determining age cannot be used ? Q. The architecture 'Surkhi' was introduced by ? Q. The phenomenon involved in the absorption of water by soil is ? Q. Which of the following is present in maximum number in Acid rain ? Q. The gandhi-Irwin pact was signed in the year ? Q. Compound which produces Bluish Green colour flame during heating in the presence of Copper is? Q. The Rath temple in Mahabalipuram was built by ? Q. Which pact sought to be resolved the Hindu-Muslim differences ? Q. In the absence of both President and vice-president, who operates the function of President ? Q. The CAG (Comptroller and auditor general of India) is not responsible for which of the following functions ? Q. The ideas of directive principles of the state policy in the Indian constitution is borrowed from which country's constitution ? Q. If X and Y can separately finish a work in 20 days and 15 days respectively. They worked together for 6 days, after which Y was replaced by Z. If the work was finished in next 4 days, then the number of days in which Z alone could do the work is ? Q. If a person spends 40% of his income on food, 20% on house rent and 70% of the remaining on children's education, then the percentage of his income left is ? Q. The radii of the base of a cylinder and a cone are equal and their volumes are also equal. Then the ratio of their heights is ? Q. A sum of Rs.M was put at simple interest at a certain rate for 2 years. Had it been put at 3% higher rate, it would have fetched Rs.300 more. The value of 4M is ? Q. Ramu a mobile businessman, purchases a mobile for Rs.1200 and fixes its list price in such a way that after allowing a discount of 10% he earns a profit of 20%. The list price of the mobile is ? Q. The average age of a office is 15.8 years. The average age of males in the office is 16.4 years, while that of the females is 15.4 years. The ratio of males to females in the office is ? Q. The side of a triangle are 7, 8 and 9 cm. Then the area of the triangle is ?